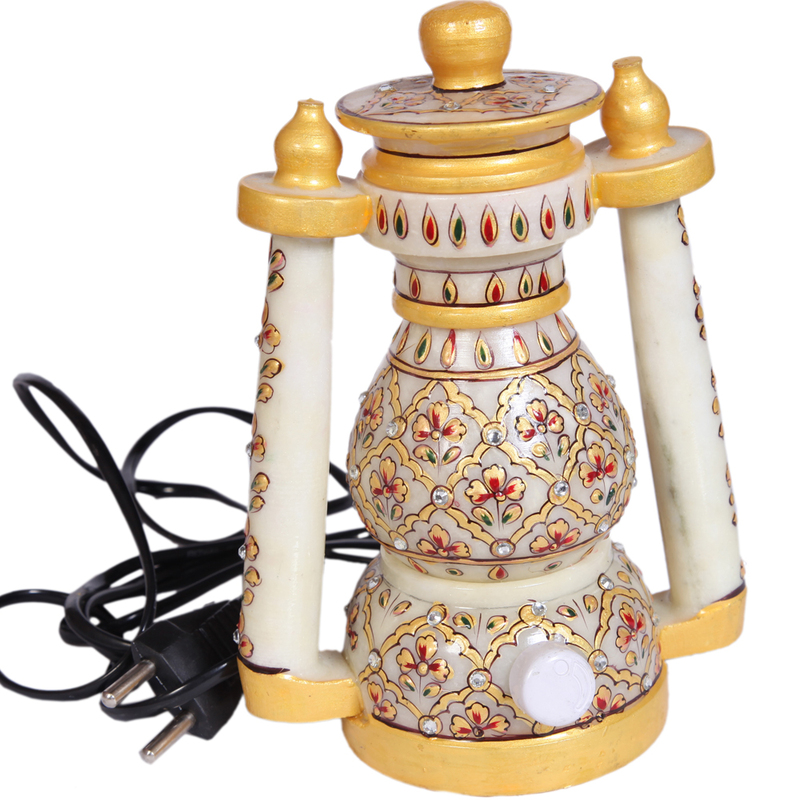 The Decorative Marble Lantern with Floral Design Work features intricate design work in the form of delicate floral patterns on the pristine marble body to Read More..make it a sight to behold. 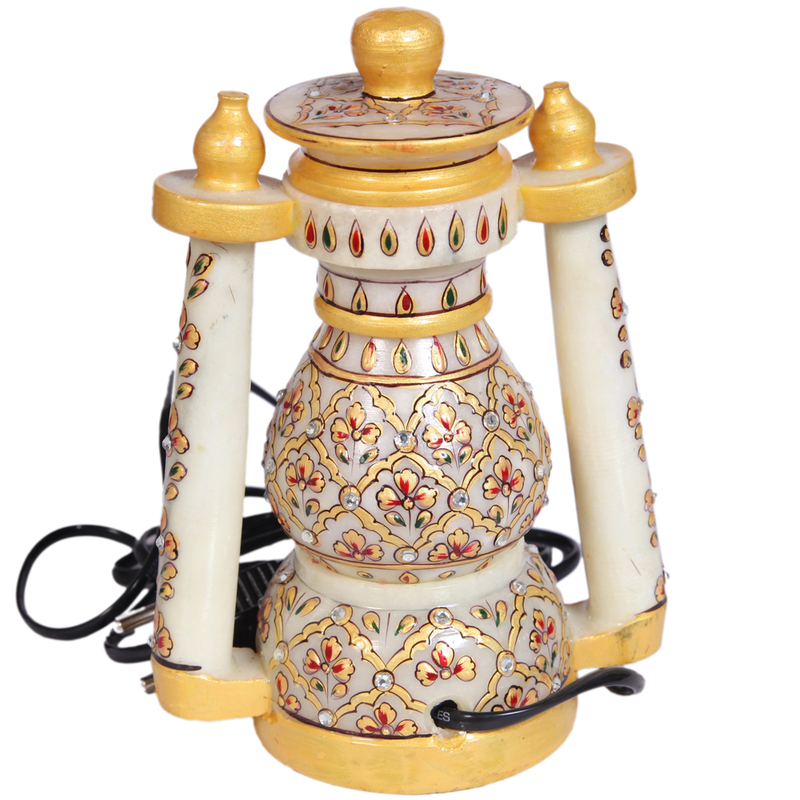 This decorative lantern works on electricity and is capable of proving light to any household during periods of emergency such as power outages. Therefore, this item brings to the table the winning combination of aesthetically pleasing design along with great practical application to make it suitable for all households. Show Less..